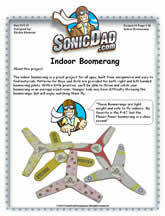 The indoor boomerang is a great project for all ages, built from inexpensive and easy to find materials. 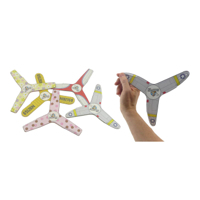 Patterns for Boys and Girls are provided for both right and left handed boomerang pilots. 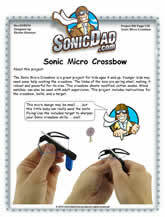 With a little practice, you will be able to throw and catch your boomerang in an average sized room.